President and vice president are the two elected officers within U.S. Soccer. Anyone who is a U.S. citizen is eligible for the positions, which are unpaid. Election regulations were approved by the board of directors on Sept. 1. Candidates must submit to a background check and be nominated by a minimum of three members. These rules, which set deadlines for candidates entering the race, are very similar to what FIFA introduced. There is a limit of three terms totaling 12 years. There is a transition period that allows current president Sunil Gulati to run for a final term in 2018. These term limits were approved at the 2017 AGM. U.S. Soccer holds an annual meeting at which its members meet to conduct business. The proceedings at the National Council are quite formal in nature, and much of it is mundane, covering approval of changes to by-laws. Here is a list of transcripts of AGMs covering 2000-17. Member organizations often hold their own meetings around the AGM. The National Council is open to members and invited guests, but like any conference there are informal meetings, lobbying, networking, receptions and parties around the event. 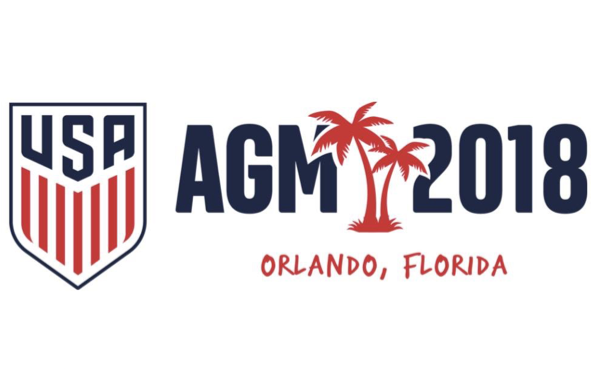 The 2018 AGM will be held Feb. 8-11 at the Renaissance Orlando at SeaWorld in Orlando, Fla. The number of voting members in each council varies, and the voting is weighted so Youth, Adult and Pro have an equal voting strength. By U.S. law, 20 percent of the voting membership of a national sports governing body must be comprised of elected athletes. 2 comments about "Here's how U.S. Soccer's presidential election works ...". Ric Fonseca, October 14, 2017 at 4:03 p.m. Beau Dure, October 15, 2017 at 10:36 a.m.
All of this info is available in U.S. Soccer's Governance section online. But credit to Paul for presenting it in a good clean summary here.